This 1 gallon plastic bucket with lid is a USDA approved food grade container. It's a food grade plastic bucket built to prevent rim distortion with reinforced Saturn rings. Made with high-density polyethylene HDPE #2 plastic that's heavy duty, the uniform wall thickness are engineered for stacking strength. A tapered design allows for easy separation. 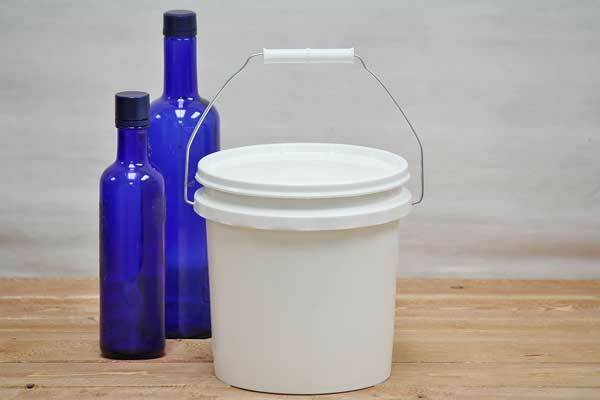 Order this 1 gallon plastic bucket with or without the optional snap-on storage lid. Safe to use with paints, varnishes, sealants, concrete patching compounds, inks, soaps and detergents. A great little tool storage or all-purpose utility bucket that is made in the USA and is BPA free. We also carry 5 gallon food grade buckets, 3.5 gallon food grade buckets, and 2 gallon food grade buckets.